Any warrior knows that the quickest way to ones heart is directly through the ribs, and that is what makes a breastplate so important! 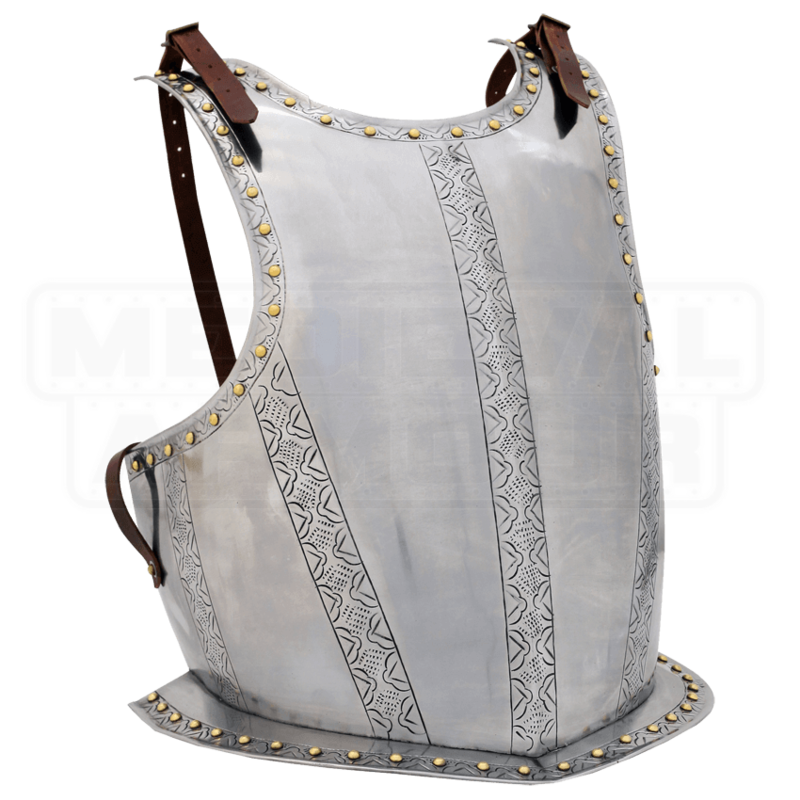 This Medieval Kings Breastplate offers not only a good bit of defense, but also some unique style for your look, too. The breastplate is perhaps the start of any good suit of armor, being a piece that protects your core, and therefore, one of the largest targets on the human body. This breastplate in particular is made entirely in 18 gauge steel, and it features ornate little touches of engravings across the chest to enhance its overall design. The edges of the breastplate are attractively etched, while also featuring brass rivet accents, while vertical stripes of additional etching run down the center of the breastplate, as well as long its sides in a five-striped layout. The breastplate comes complete with leather straps, which are perfect for securing it onto your core. The breastplate is offered in one size, and given the 18 gauge carbon steel construction, the edges of the plate can be gently bent to help it accommodate almost any size. 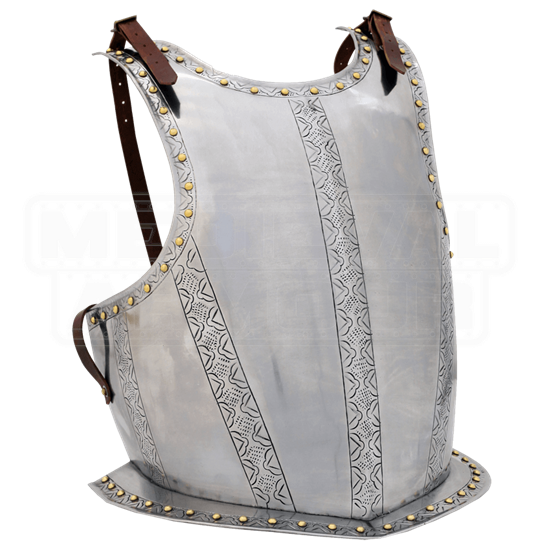 Handsome and appealing, this Medieval Kings Breastplate offers the steel-plated protection you need to look like a valiant medieval warrior, as well as that little touch of extra decoration that will mark you as a noble warrior-king who has no fear of leading his troops from the front lines.